One of the 400 Land Rover Defender 90 Heritage Limited Editions – this one owned by Rowan Atkinson – is heading for Silverstone Auctions. Guide price £38-45k. If we feature news of a ‘Classic’ car heading for auction, it’s usually because it’s old and appealing and something a bit out of the ordinary. But this is a 2015 Land Rover Defender, a car which is just a couple of years old. So what’s so special? Well, one reason for featuring it is that it was bought new by long-time petrolhead Rowan Atkinson – he of Mr Bean fame (and much more) – who is probably best know in the car world for owning a McLaren F1 and treating it as a daily driver. But the second reason for choosing to report its sale is that this is a Land Rover Defender 90 Heritage, just one of 400 built to celebrate the end of the Defender’s run after almost 70 years. Land Rover launched the Defender 90 Heritage in 2015, and they had no trouble selling out the short run of 400. And that’s had an impact on values. When launched, the Defender 90 Heritage had a list price of around £30k, but you’d be hard pushed to find one for sale now at much under £50k, and with no more being made there’s a pretty good chance it will keep its value. But perhaps Rowan Atkinson thinks that now the excitement of the last run of Defenders is gone that prices will start to slip away? And he could be right. Silverstone Auctions have a pre-sale estimate for the Atkinson Defender of £38-45k, which makes it a chunk lower than you’ll find one up for sale. Of course, it could be a ‘come and bid’ guide price, and the real expectation is for much more. This distinctive limited edition is sure to be highly sought-after, offering buyers and collectors a slice of exclusive Land Rover history, and, with celebrity ownership by the hugely successful and admired Mr. Rowan Atkinson, this particular car has even more added appeal. If he’s right, Rowan Atkinson’s Defender should roar past £50k. We’ll find out on 29/30 June. 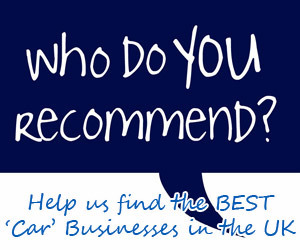 Looking for a Recommended Independent Land Rover Specialist to care for your car? Audi e-tron production CUT due to battery shortage – or is it 2021 CO2 targets?